It’s all math: How Professor Alan Evans is using cutting-edge statistics to unravel the complexity of brain disorders. When Alan Evans was starting out in the 1970s, researchers didn’t ask the boss to foot their bar tab. But that’s exactly what some of the coders in his Montreal Neurological Institute lab recently proposed: a 9-to-5 Saturday hackathon, held in an Irish pub a few blocks from the McGill University campus. Still, he agreed to the idea. When he stopped in at the pub in the afternoon, he half-expected to find a bacchanal. Instead, fingers furiously tapped on laptops as the coders raced to meet their self-imposed deadline to solve some research problem. Come five o’clock, each team presented their work – and sometimes even working prototypes of apps – and talked about how to get their new ideas up and running in Evans’ lab come Monday morning. Openness to change, and a curiosity to explore new paths, may be the defining characteristics of Evans’ career. Today, he’s internationally recognized for his work in brain imaging; in July 2016, for example, he will be the guest of the U.S. White House Office of Science and Technology Policy, who have turned to his expertise to help them build an open-data neuroscience ecosystem. His 65-person lab brings together the types of researchers who, he says, “would never have talked to each other a few years ago.” Some are scientists with domain-specific expertise in certain brain disorders. The others are hackathon-holding computer simulation and mathematics whizzes who “may not know one end of a brain from another—and they don’t need to because, whether it’s neurodegeneration or aging or development or depression, it’s all the same mathematical problem.” Together, they create wonders such as the most frequently used spatial reference system for cataloguing structural and function data for normal and diseased brains. Ultimately, their goal is to understand exactly how, and why, disorders occur—groundbreaking knowledge that will underpin improved diagnosis and, hopefully, interventions. Evans may have recently co-led the “Big Brain Project,” an unprecedented map of the human brain with a near-cellular level of detail, but studying the brain wasn’t always his goal. The Wales-born Evans did his undergraduate work in mathematics and physics, then gradually started “moving east” into neuroscience. Next came a graduate degree in medical physics, then a PhD in biophysics. But it was a literal move, from the U.K. to his wife’s native Canada that proved career-changing. In 1979, Evans took a job with Atomic Energy of Canada to work with a prototype PET scanner that had been developed at McGill. After Evans spent five years wearing out the highway between Ottawa and Montreal, the Montreal Neurological Institute’s then-director, William Feindel, said, “You really should just stay here.” So he did. Over time, Evans grew frustrated by the limitations of PET images. PET are great at showing metabolic processes – such as when dopamine receptors are activated – but “the rest of the image is pretty fuzzy.” MRI scans, on the other hand, give a sharp, detailed look at brain structure. Evans and his MNI were among the early adopters of “brain mapping,” or overlaying PET and MRI scans to get a multi-dimensional view of structure and function to create statistical probability maps of brain activation. But, again, Evans grew restless. “Could we create statistical probability maps of brain structure?” he asked. 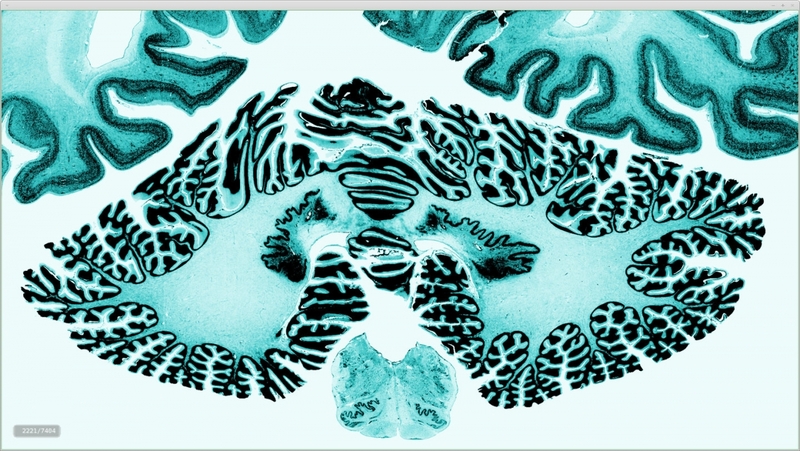 “What about for disease?” His curiosity led to the creation of a map that showed, for the first time ever, what multiple sclerosis looks like in the brain. Merging brain structure, function, and genetic information creates what Evans calls “a data tsunami”—an overwhelming amount of data that causes many people to throw up their hands in defeat. He, however, is excited. The new R&D collaboration between McGill and EMC, for one, promises to ramp up the already great advances in raw computing power. 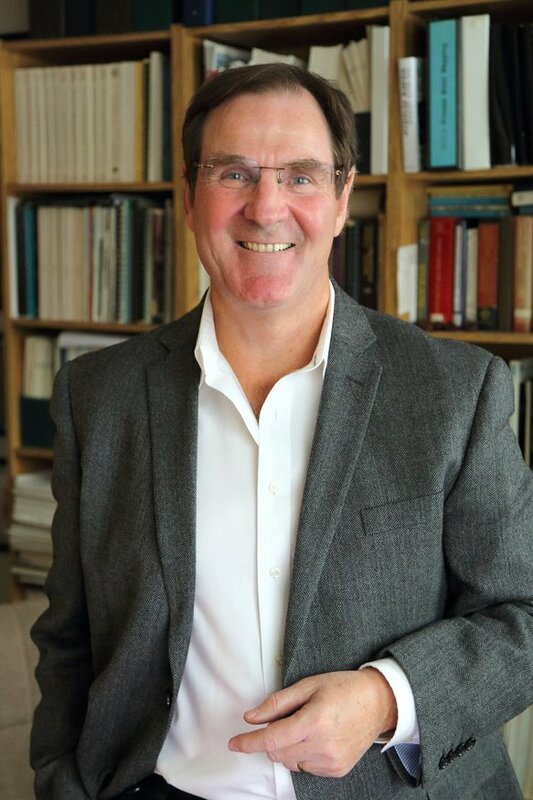 And the creation of the Ludmer Center for Neuroinformatics and Mental Health in 2014, Evans says, exactly embodies the kind of interdisciplinary work needed to make exponential leaps in our understanding of the basic machinery of cell function, and about how different regions communicate with each other at a systems level. The data tsunami can be surfed.